Just announced by Hanover Shoe Farms today – Cam’s Card Shark has been retired from stud duties. Interesting to see what a strong sire line that has become. Will it be continued with Bettor’s Delight leaving a great siring son? We’ll have to wait and see. I’ve blogged on that before and it is quite intriguing. Myron Bell, the racing manager of the outstanding pacing colt Captaintreacherous and Jim Simpson, President of Hanover Shoe Farms today announced that an agreement has been reached for the great son of Somebeachsomewhere to stand at stud at Harness Racing’s greatest breeding farm beginning with the season of 2015. Present plans call for “The Captain” to continue racing for the duration of 2013 and through the entire racing season of 2014. Will post again shortly (I’m head down with day job at the moment) but in the meantime please have a look around past blogs as they cover a wide range of topics. You can use the “Search” facility at the top right corner of my blog to enter in topics you are interested in – keep in simple like names of sires or families Rich N Elegant, Nedda, Tintin In America, yearling sales, Shadow Wave, Overtrick etc. It will help you find topics of interest that I have covered in the past few years. Maths was never my strong suit. Thanks to Helen Smith, my maths teacher who took extra classes after school, I squeezed through School Certificate maths with 54%. And then I had to do a statistics course at university when I majored in geography. It was torture. But at least I know the difference between “average” and “median”. Which is useful, because they can tell quite different stories about prices at the yearling sales, both overall and for individual vendors. PGG Wrightson (who run the sales) uses averages to monitor how the sales went. It is a useful tracking tool over time, and it does indicate if there is a strong trend in one direction or another. However we know that if 5 horses sell for $10,000 and 1 sells for $100,000, the average for the 6 is $25,000. Does that really reflect what happened? If those results are for one vendor, it is a useful indicator that overall they have well covered their costs per horse and probably made a small but welcome profit, thanks to one outstanding sale. But across a day of sales or three days of sales, I am not convinced that averages mean that much. (Day 1 Christchurch) A strong middle market on the first day of the two-day New Zealand Premier Sale in Christchurch yesterday (Tuesday) saw the average price lift from $22,186 in 2013 to $25,191 in 2014. Canterbury rep for PGG Wrightson, Bruce Barlass put the 14 per cent rise in prices down to a strong Canterbury and Southland presence, as well as the healthy state of dairy farming in the South Island. (Day 2 Christchurch) The average was also well up, rising 10% to $24,536, which came down to the large number of lots which sold within the $30-$90K bracket. 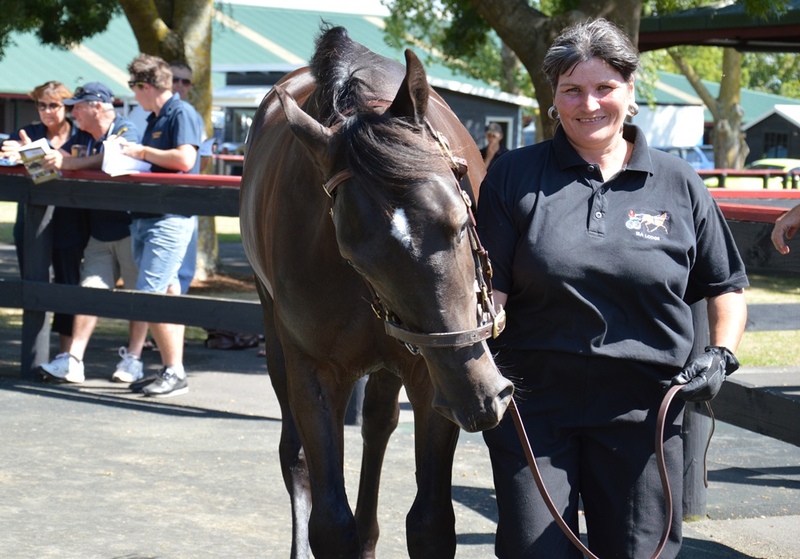 “There wasn’t as many $100,000 plus yearlings as there has been in years gone by, but the middle to top market was very strong,” said PGG Wrightson’s Rachel Deegan. Good observations, but it is interesting how the “middle market” has now been defined as around $30-40,000, which is above the average. I understand that the Australasian Classic at Karaka had an average of $31,577 this year. Now let’s look at what medians can tell us. The median is the middle of a range of numbers – basically the point where there are an equal number above and below it. So in terms of yearling sales, it gives a more accurate indication of how many vendors achieved a price higher or lower than that for their horse. In all cases it covers only horses sold at the auctions, not those passed in. Add in the fact that just to cover costs a yearling probably needs to achieve $15,000 (if you have gone to a moderately priced sire and are doing the raising and preparation yourself) or over $20,000 (if you have gone to an expensive sire and are being charged for raising and preparation). These are ballpark figures, but they give a steer on what a vendor needs as a realistic return on investment. 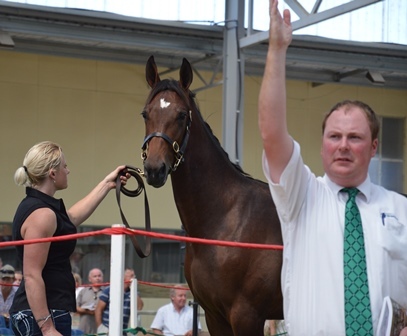 The median at the Australasian Classic (Karaka) sale this year was $26,000. In other words, an equal number of horses sold for less than that, and more than that. For the total Premier (Christchurch) sale the median was $16,000. That indicates that about 126 horses sold for less and 126 horses sold for more. That’s a lot of horses not making it to break-even. So medians paint quite a different picture compared to averages. Father Frank, Christchurch Lot 223, a lovely Real Desire colt sold for only $12,500 – appropriately to Frank and Ann Cooney. 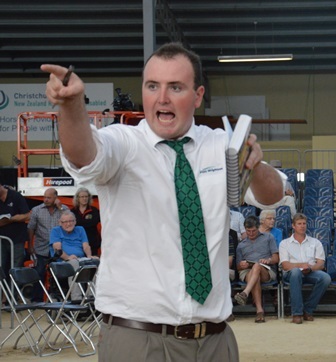 I’ll dig a little deeper, using $15,000 bands – of the almost 100 lots sold by auction at Karaka, 31 were $15,000 or less, 29 were between $16,000 and $30,000, and another 18 were between $31,000 and $45,000. That’s about 60% of horses selling for less than $31,000, and 78% for less than $46,000. About 30% probably hardly covered costs and certainly wouldn’t have made a decent return on investment and risk. Same story in Christchurch. 126 lots sold for less than $15,000. That’s about 50% of the lots that were sold by auction on the day. Another 87 sold between $16,000 and $30,000. That’s just over 80% of lots selling for less than $30,000. So you can start to see why vendors were feeling a bit mixed about the results by the end of it. So much depended on whether you had enough good results or one really excellent one to average out your overall return. Or looking at it from the other side of the business, it was a buyer’s market. Yes, there was good competition for the top end horses. But you could sense the effort required to get bidding beyond $10,000, and again to shift it over $20,000. Once over $30,000, the bigger bidders came in – and that is why many buyers with smaller pockets felt they could not get a decent look-in at the better quality, more commercially bred horses. On the other hand, they had a wealth of opportunity to pick up some very well raised attractive individuals at quite cheap prices, if they had done their homework. The lower end prices were not necessarily a reflection on the individual product. Often it was just a case of type, family and sire. It is such a conservative buying market. I’ll look at that in more detail next time. Once again, these figures don’t include the passed in lots that were later sold (and quite of few of them were in the higher range). But the sheer volume of <$15,000 lots in unlikely to alter very much at all. Kym Kearns of Isa Lodge with Thephantomtollbooth at the sales. Back in Cambridge after the Auckland and then Christchurch yearling sales. Tired but happy. It seems strange not to look out my window and see “the boys” hanging out in the paddock or finding shade under the gum trees. Both our yearlings sold well at the Australasian sale, Karaka. I hope they are settling in well to their new environments and stable mates, and we look forward to following their progress. I’ve updated the pages for Thephantomtollbooth and Isaputtingonmytophat – but in a nutshell, the former sold for $84,000 and the latter for $42,000. Thanks Milo and Bert! The day after the Australasian Classic Sale I flew to Christchurch for the two-day Premier Sale, and found that very interesting. In spite of reports, neither sale provided the real boost for breeders that we had hoped for. I feel for many sellers who put very good looking products forward – but took at loss or at least no reward for their investment of time, money and thought. Newer sires were left without a clear steer on their future demand. Some sires are basically “gone”. And even established top sires were picked over. But there are some positive signs if breeders can hang on in there. Best tip from a trainer? “Try the whitebait fritter sandwich.” YUM! Thanks Sean. Best show in town? Jamie, the spotter/auctioneer who kept us awake as temperatures soared into the high 30s. Over the next few days I’ll process my observations and photos and share those via some short blogs. 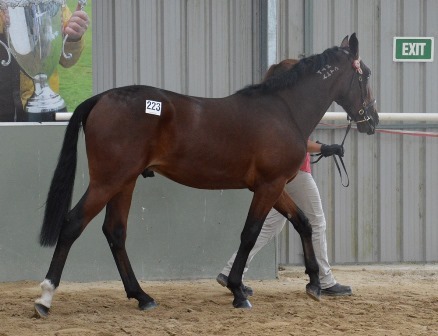 Lot 45 Christchurch, a Sundon colt with a good trotting pedigree and nice looking type goes for just $6000. Congratulations to those who sold well. And commiserations to those who came away with a loss. I’ve been there, down in the $4000 and $7000 range and it is hard. Don’t lose heart. I think these sales were a turning point in many ways. Your passion for breeding horses is something our industry needs to recognise and reward in a wider way and over a longer period than a few moments in the auction ring. Tonight I paid the bill for the working fee for my mare Zenterfold. That’s for her current season, and she is in foal to Rock N Roll Heaven. But the flip side of paying bills is what this lovely mare delivers. Because an hour later I watched her 3yo son, Destination Moon, win very well at Alexandra Park – his second win in his last two starts. That makes his record now 3 wins and 3 seconds from just 10 starts. He’s owned by Rosslands (Kerry Hoggard), trained by Steven Reid and Simon McMullan, and driven by Josh Dickie. 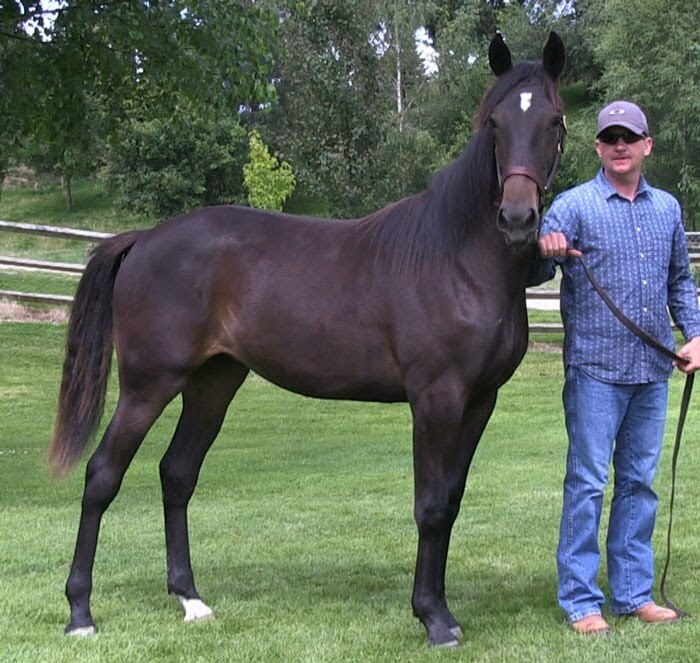 And then tomorrow I will be watching as Kym Kearns (who raises and prepares my foals) load his half brother yearling, Thephantomtollbooth, onto the float and we will be heading to the yearling sales in Auckland. Neither Destination Moon nor ThePhantomtollbooth are by expensive sires – Grinfromeartoear and Real Desire respectively – but they are sires I chose for their compatibility with Zenterfold, in type and pedigree. Same with Tintin In America, her first and (so far) best foal by McArdle. I don’t breed “the best to the best and hope for the best”. I breed a 4 win mare who showed an incredibly determined and competitive attitude and a ton of sprint speed, to the sires that I believe add the most value and help produce the type of foal I’m looking for. One that will perform very well on the track. And with amazing help from Kym in raising and educating them, I try to give them every chance to fulfil their potential. A ton of credit goes to the mare Zenterfold and the quality branch of the family she is forming. I breed Zenterfold alternatively with Geoff and Aria Small, and the spacing of every other year is great – it gives me time to think and see the results from my last choice, and it also takes off some of the financial pressures for a small-time breeder. Zenterfold is a lovely horse to have around. She can be bossy with other horses, but she loves interaction with humans. She’s a fantastic mum. 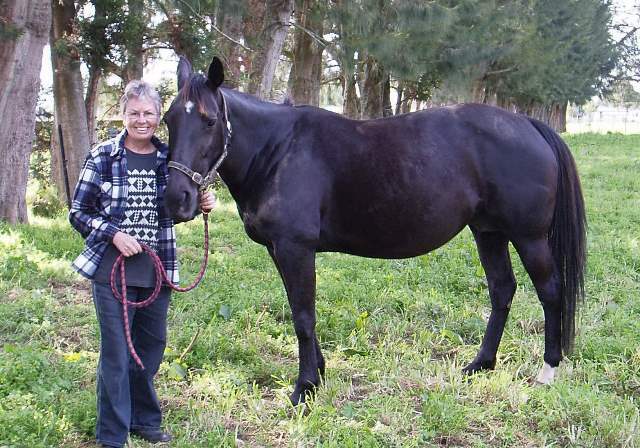 She has a McArdle colt on her at the moment, for Geoff and Aria, and when that foal is weaned Zenterfold will be heading down here (Cambridge) as usual. She’s a shuttle mare, and I think she knows and kind of enjoys the routine now. I’m really looking forward to seeing her again. 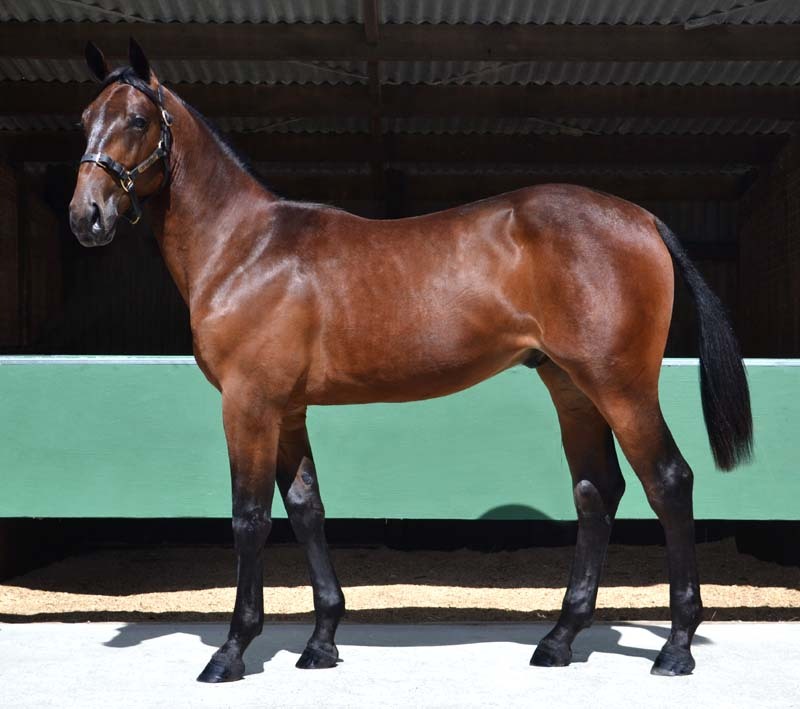 Thephantomtollbooth is Lot 39 at Karaka (prepared by Isa Lodge), and Zenterfold’s daughter The Blue Lotus has a very nice Bettor’s Delight filly Lot 34 (prepared by Breckon Farms) in the same sale. The Blue Lotus is a full sister to Destination Moon and was placed 3rd in the 3yo Sires Stakes Fillies Final behind Carabella and Bettor Cover Lover, before she got a minor tendon tear early and was retired to stud. All the best to everyone who is preparing, selling and buying yearlings at the moment, in Australia and New Zealand. The mood feels more positive than the last couple of years. I will blog again in a week, after attending both Karaka and Christchurch sales. 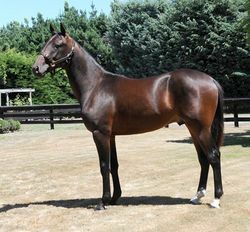 We (Isa Lodge) are selling our two colts at Karaka, the Australasian yearling sale on Monday. For me, an extra dose of excitement is that I’m heading south afterwards for the next two days of the Premier sale in Christchurch. And what excites me about that sale is that I’ll get a chance to see more yearlings from a wider range of sires and families than at Karaka. Changeover or a Panspacificflight or a Shadow Play or a Gotta Go Cullect. I’ll be hungry for a Badlands Hanover, or a McArdle. 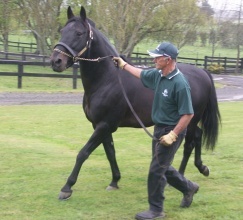 I can’t wait to see The Pres yearlings and compare 9 Shark Gestures and 2 Raffaello Ambrosios. I’ll be so keen to check out the Santanna Blue Chips, and look at the only Mister Big, Kenneth J, Major In Art and Muscle Hill in the sales. I will even get to look at 3 Rob Roy Mattgregor colts and see if he stamped them in any way. There’s almost twice as many Jereme’s Jets as there are at Karaka! I’ve got 12 Art Official yearlings to look at, whereas there is not even one at Karaka. Because at Auckland, Bettor’s Delight dominates again, and there’s a photo finish for Art Major and Mach Three, and then another photo for the first four between American Ideal and Rocknroll Hanover. Then you drop back to only 7 from Real Desire, 6 from Rock N Roll Heaven and 5 from Christian Cullen. There’s only one Changeover yearling at Karaka, yet he was bred and trained in the north even if he now stands in the south. The rest is a smattering, flying solitary flags for their sires. At Christchurch there is variety and a feast of offerings from new and established sires, including those that are still trying to get a real foot-hold in the market. I know that is dangerous territory for vendors, an added risk on top of the usual risks of breeding. But some of these are very calculated risks – a thoughtful pedigree or type cross, or perhaps the willingness to put a sire out into the market. A tip o’ the hat to those who go that route, knowing those risks. Our standardbred breeding and racing is the richer for your decisions. We will never win if we merely following in the tracks of others. Those who bred in previous years to Changeover or Shadow Play, for example, will be feeling a little chuffed, as those sires start to make a mark. It takes someone to lead, doesn’t it. The range of damsires on offer follows the same pattern. At Karaka, new-ish damsires include only Mach 3 (lots 32, 56, 122, 127), Bettor’s Delight (lots 77, 55, 54), Artsplace who is a relatively minor sire here, for my N American readers (lots 66, 113, 123), Artiscape (lots 27, 88, 119), plus two Continentalman damsire credits for trotters (lots 49 and 81), one for Real Desire but I think imported (lot 13), and one Grinfromeartoear mare (lot 34 – hey, that’s my gorgeous mare The Blue Lotus and her first foal!). Meanwhile down in Christchurch, you have plenty of representation from new-ish damsires – McArdle (lots 25, 79, 111, 116, 185, 186, 264, 308), Bettor’s Delight (lots 24, 77, 132, 167, 177, 302, 312), and Life Sign (lots 39, 117, 172, 226, 249, 281, 349), plus solid representation by Artsplace, Artiscape, and Washington VC, and a few by Muscles Yankee, Mach Three, Pacific Rocket, Courage Under Fire, Red River Hanover and Badlands Hanover, and even Elsu, Earl, Rocknroll Hanover, CR Commando, Continentalman, Julius Caesar and Tinted Cloud have at least got one credit as a damsire at the sale. That isn’t a definitive list – I might have missed a few – but the overall point is valid. Christchurch is where the variety lies. Both sales are a reflection of the tough economic times (and the downturn in breeding numbers) about 3 years ago, when these breeding decisions were made. We have had a couple of bank-account wrenching sales, and the impact is clear. Some breeders have consolidated to “the best to the best” and moved to a conservative position that at least might maximise their return. Others took the opportunity to get value for money and take a punt on new sires, and take a potentially lower sale price but hopefully retain a reasonable profit margin. And the market is different in Christchurch, where there are more buyers and trainers in the middle and lower market. Thank heavens! There will be other reasons too, but this sale basically reflects the wake-up call we all got as the industry and the global economy shrank. It is just interesting to see the different responses. Both options have good rationale. In the end the “proof of the pudding is in the eating” or as we say, “you will find out on the racetrack”. Personally, I think going to Christchurch for the Premier Sale will be time and money well spent to widen my appreciation of current breeding. I’m really looking forward to reporting on what I find there. I saw this in Harness Racing Update issue of 25 January. Given my recent blog on a yearling with double ups to the mare Rich N Elegant in our 2014 sales, I thought this might be of interest. Russell Hanover is by Somebeachsomewhere from Rich N Elegant, so a half to Rocknroll Hanover, Red River Hanover, Rustler Hanover et al. A hock injury early on seems to have put paid to a racing career. Hanover Farms were patient and waited for him to get sounder, which he did but not to the point where he could be trained. Breeding to him has been largely in-house so far, on purpose, wisely seeing how things went, and his crops have been around 25 mares. The first crop will sell at public auction in 2015 as yearlings. Interestingly, Russell Hanover was an embryo transfer, and Hanover’s Farm Manager made the comment that Rich N Elegant (“Richie”) was such a good mother that had she raised the foal herself the injury may never have happened. See here for the full article (November 2012, when Rich N Elegant died).